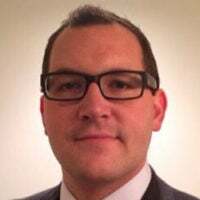 Jonathan Zalewski is a visiting legal fellow and Koch associate at The Heritage Foundation. Texas has been at the forefront of state prison and criminal justice reform since 2007, but it isn’t resting on its laurels. By reforming its criminal justice system, Texas has sensibly and carefully reduced its prison population, cut state spending, and expanded prisoners’ access to drug and mental health treatment and to education programs—all of which have reduced crime and recidivism rates and improved people’s lives. Other states, as well as the federal government, have followed Texas’ lead by implementing similar criminal justice reform policies in recent years. 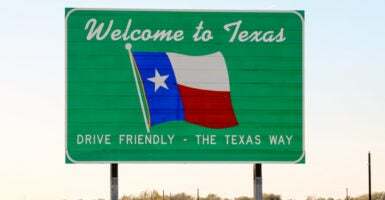 Now, Texas is once again leading on key issues by analyzing and reconsidering some of its laws that hinder Texans’ ability to pursue a livelihood, a right guaranteed to all Texans by both the state and federal constitutions. Many of those laws carry criminal penalties for those who violate them. That’s a lot of time, money, and energy that is often wasted on government bureaucracy. In 2015 and again in 2017, the Texas Legislature created and tasked the Commission to Study and Review Certain Penal Laws with studying and analyzing approximately 1,500 criminal laws that fall outside of the state’s criminal, health and safety, and motor vehicle codes. Many of these laws govern social and economic activity (as opposed to criminal activity), from agricultural practices to occupational licensing standards, yet they still carry potential criminal penalties. That’s a conservative estimate of lost economic value, as the commission also used a broader measure of economic loss and re-estimated the cost to be $12.7 billion. Those who violate this law can face a misdemeanor charge punishable by a maximum of 30 days in jail and a $1,000 fine. Absent outright fraud or physical violence, which are already punishable under other Texas laws, it’s hard to imagine how the promoter of an outdoor musical festival could cause enough societal mischief to warrant a month in jail. The commission has recommended to the Legislature that this law (Tex. Occ. Code Ann. § 2104.151) be repealed and replaced with a civil penalty—a far more rational punishment. Of the 58 so-called occupational licensing laws included in the report, all of which carry criminal penalties, the commission has recommended that almost every one of them be either reduced to a civil penalty or repealed outright. The commission also analyzed a subset of laws that criminalize conduct that the average person would have no reason to suspect was inherently wrongful, much less a criminal offense, such as line-riding a horse on public land or improperly labeling a jar of honey. More troubling, these laws include criminal penalties but do not require the offender to have acted with a culpable mental state (or “mens rea,” Latin for “guilty mind”). In other words, these laws are strict liability offenses, and individuals who violate those laws can be convicted of the crime, even if they had no intention to break the law and no knowledge that their conduct was immoral or harmful. The commission recommended that the identified strict liability offenses, each of which carries a criminal penalty, be amended to include, at least, the culpable mental state of “knowingly” or for the offense to be reduced to a low-level misdemeanor. By adding a “knowingly” requirement to those laws, the Legislature would help protect ordinary law-abiding Texans from unwittingly breaking the law and facing criminal penalties. Legal scholars from The Heritage Foundation have long argued (see here, here, here, and here) for the mens rea reforms like those recommended by the Texas commission. Now-retired Sen. Orrin Hatch, R-Utah, also fought tirelessly (see here and here) during his time in Congress to advocate such reform at the federal level. While mens rea reform may not have gained as much traction at the state and federal levels as other criminal justice reforms, Texas (along with Michigan and other states that have already enacted reforms) hopefully once again can be a lodestar for this initiative. Texas has taken another meaningful stride to further reform its criminal justice system and to better protect its residents from unnecessary and confusing laws—and in turn, to enhance economic competition and reduce regulatory uncertainty for Texans trying to earn a living. The onus is now on the state’s Legislature to implement the commission’s recommendations.